GetSiteControl is a set of exceptional widgets which are quite simple to use for capturing email of visitors from website. So, here is a step by step process of integration of GetSiteControl with EasySendy Drip (or EasySendy Pro). 1. First, register and login to your EasySendy Drip (or EasySendy Pro) account. 2. Register on GetSiteControl; you can do this from here. 3. Then go ahead and add GetSiteControl site script to your website footer. 4. Generate a new API key from EasySendy Drip (or EasySendy Pro) dashboard, which you will have to add to GetsiteControl in next step. Copy the Public Key. 6. 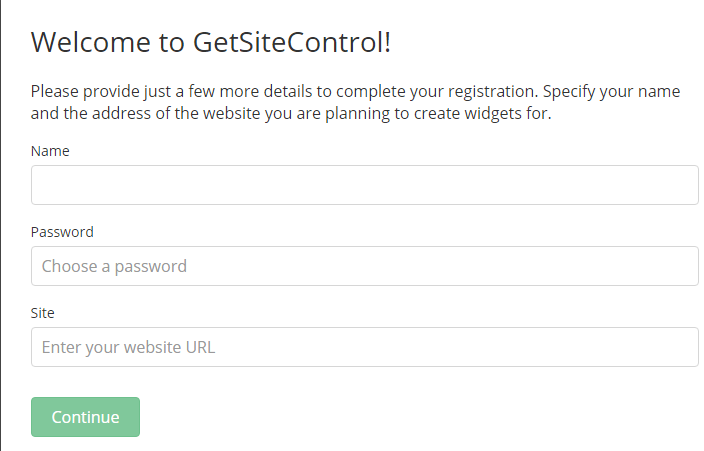 Inside GetSiteControl account; goto “Site Settings” from top bar, then, integrations tab and finally click on Connect button of EasySendy. 7. 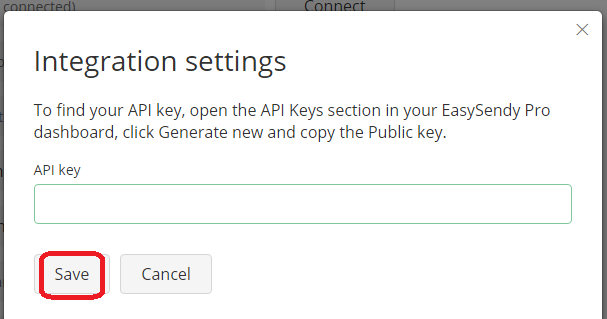 Now, add the EasySendy Drip (or EasySendy Pro) Public API Key under “Integration Settings” and click on “Save” option. 8. After completing the integration process, you will now be able to generate a widget inside GetSiteControl panel based on what type of email capture pop-up you are looking for. 9. Finally, choose a list of the subscriber of EasySendy Drip (or EasySendy Pro) for that particular widget, Integrations setting; where emails captured from widget will be collected and passed to the selected Pro email list.